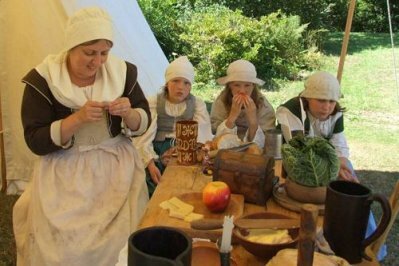 The Sealed Knot is the largest re-enactment group in Europe and is dedicated to portraying everyday life in the Seventeenth Century and the events of the English Civil War. 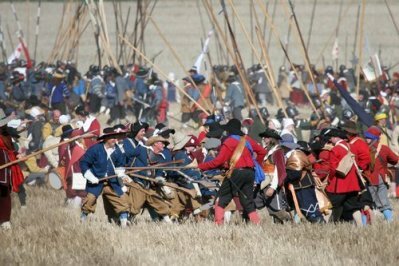 Events can range from school talks to large scale battles with over 3000 participants including cavalry, cannon, musket and pike, together with extensive living history camps. The society consists of approximately fifty different regiments representing both Royalist and Parliamentarian armies, which are based throughout the UK with members of all ages and from all walks of life. The Sealed Knot also boasts members from all of Europe and from as far away as the U.S.A. Colonel John Birch's Regiment of Foote your hosts for the weekend, are a Parliamentarian regiment based in Herefordshire.